We live in a world filled with data. Every time we “like” something on a social network, share an email, use a loyalty card or respond to a marketing piece by visiting a Website or scanning a URL, we are generating yet another piece of information that can—and probably is—be tracked and organized in a database somewhere. The question isn’t whether or not the data is there, but rather, what can print service providers (PSPs) do to capitalize on it. 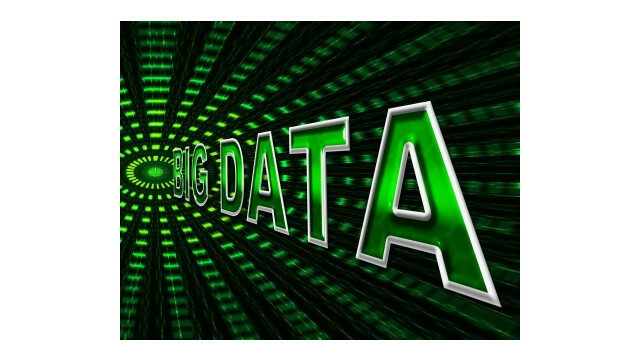 From large institutions like Harvard to Fortune 50 companies like Microsoft, everyone these days is talking about “big data” and how it will shape the world around us. But for printers, that question centers around marketing, and how to help clients increase their ROI with more targeted, more effective campaigns. But doing that isn’t just a matter of managing a spreadsheet or two. And that is part of the key to making big data work—it’s not just about improving one-off print campaigns, but rather it is about informing an entire marketing effort, with multiple approaches including print, mobile, web, email and other sources of touch-points. Successful data management will allow PSPs to help their clients take the results from each piece and further refine and personalize the next step along the way, reaching more relevant consumers with more relevant offers. He went on to stress that printers can’t just be one piece of the puzzle anymore. To be successful today, and in the future of the industry, PSPs will need to be knowledgeable about the entire marketing picture, and not just the print segments. They will need to be more aware of how the print fits with the branding and the message, and be able to suggest ways to improve the overall results, not just the results of the printed components. It is no longer just about putting ink on paper and being done with it, and printers both large and small will need to find ways to integrate into the workflow more seamlessly. But it doesn’t necessarily mean up-ending the entire organization and restructuring around this new paradigm. Print might just be one component of a modern marketing campaign, but it’s still a critical one. For smaller operations, that kind of undertaking might seem out of reach. That is where partnering can fill in the gaps, and allow PSPs to offer the expertise of seasoned data management professionals to their clients right from the start. At the end of the day, data isn’t going away. As our world continues to embrace always-on forms of communication and continues to share more and more details of their daily lives on the Internet, effectively using data to personalize marketing messages is going to become even more important. And PSPs who position themselves today as the hub that the entire campaign and data management can revolve around will find themselves far better positioned to find success in the ever-changing marketing landscape. Tags: Big Data, Client, Direct Marketing, MyPrintResource, Print Service Provider, PSP, Ricoh, Xerox Corp.